DaVinci Resolve vs. DaVinci Resolve Studio: which version should I choose? If you have been following the news then you must have come across Blackmagic renaming the ‘DaVinci Resolve Lite’ version as ‘DaVinci Resolve’ which is the free version and ‘DaVinci Resolve Studio’ is the paid version. If you are new to the software then choosing the one between the two might raise confusion for you. Thus, in this post we will highlight the major differences between the DaVinci free and paid versions and then you can decide which one is apt to satisfy your needs. Note: BlackMagic has released a new version in 2017, you can get more detailed information about this new version at DaVinci Resolve 14 Top Killer Features. And in 2018, the newer DaVinci Resolve 15 is available, which includes the audio editing features Fairlight, and some built in Fusion visual effects. You can also check the comparison review about DaVinci Resolve vs Adobe Premiere Pro to learn more. If you are finding a video editor that is much easier yet provides powerful video editing features, we recommend you using FilmoraPro, which is available for Windows and Mac. It is a video editor for users who are looking for more controls over color correction, audio mixing and visual effects. The best part is that the whole editing process is very smooth as its functionalities are easy to learn. Watch the video below to check how to use FilmoraPro to power up your story. Download it now to have a try (free)! Note: DaVinci Resolve updates often, so the features for both the free and paid versions could change in the future. Supports up to 4K UHD resolution Free updates to future versions of Resolve to accommodate new features. No watermarks on footage Comes with some of the unique and unmatchable features. Price: ‘DaVinci Resolve’ is the free version and you can download it from the official website without paying anything. Separate free versions for Windows, Linux & Mac are available for download. ‘DaVinci Resolve Studio’ features everything available in the free version along with several other tools like HDR Grading, motion blur effects, multi-user tools, 3D and much more! Thus, it is priced at $995 which includes purchase of many Blackmagic cameras and USB license dongle which needs to stay inserted if you are not using the Mac version. The studio version entitles you to upgrade your existing version with the future releases without any extra cost. While after Davinci Resolve 14, the price of the paid Studio version is reduced to $299. Editor Friendly interface: With multiple editing friendly features you can carry out virtually every imaginable editing through DaVinci. Multi-cam editing enables you to trim programs while other sources are playing at the background in real time. Different camera angles can be synched and switched when creating multiclips. Images and video layers can be animated, rotated or scaled using motion paths. Also, multiple keyframes can be selected, copied, edited, and moved using various parameter curves. Positioning of keyframe is strategic and thus easy to locate. It also provisions for adding custom titles and aligning multiple built-in transitions. 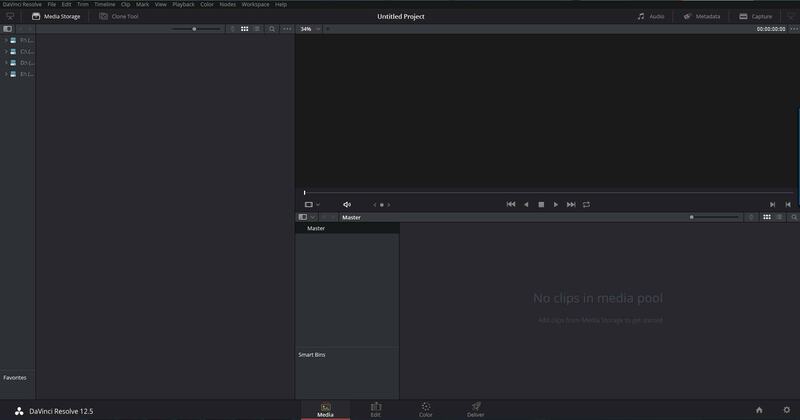 Both transitions and titles can be imported and placed in the video while editing through DaVinci. Color correction: With DaVinci it is possible to swap, copy, extract or expand the imported nodes and make major enhancements through an improved node editor. It also takes care of the edges and save them from being overly pointed. With custom curves and soft clip, high and low softness can be processed convincingly. 32 bit floating point quality with YRGB color space makes the image look nothing less than perfect! HSL Curve grading adds to this perception by allowing to adjust hue, saturation and luminance of the image by picking colors from the image itself. With new editing features and changes to grading and color correction tool, DaVinci is ready to spread its magic. As mentioned earlier, Studio version consists of dozens of new and vastly improved tools which can provide completely redefined output. Collaborative team work, Power mastering, deinterlacing on export, noise reduction, 3D stereoscoping grading and HDR grading being some of them. Here below is the briefing of four prime distinct features of Studio. This amazing new collaborative workflow in Studio allows multiple people to work together on the same timeline at the same time. This means you can share grades across timelines at the same time; you can set the acceptance level to be automatic or based on your nod as a project owner. Also, with its extended feature of remote grading, low resolution files from another computer or internet can be imported to allow colorists to do color grading. This contributes in finishing the editing quickly and you are able to focus on the visual flow of your edit. 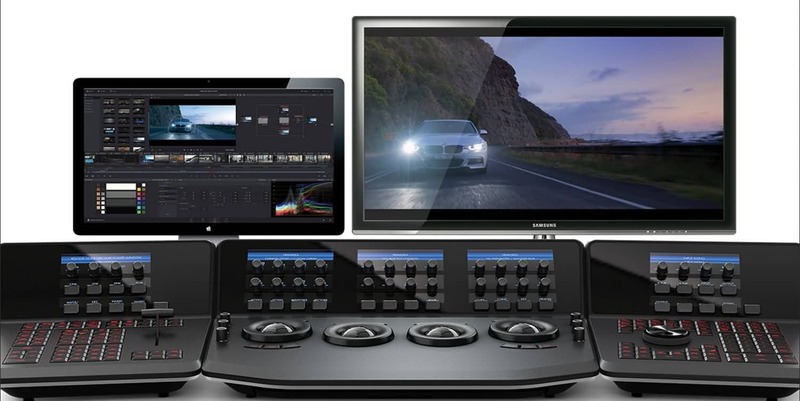 Studio supports High dynamic range production, which helps in creating the videos in the Ultra HD format. In other words, the videos can meet the standards for HDR deliverables such as Dolby & HDR10. With this, the content turn out to be powerful and visually striking which means it is the combination of more immersive and vivid colors, richer contrast, deeper shadows and brighter highlights. This feature can be used to reduce temporal noise, blur motion and apply spatial noise reduction techniques. The frames with just the right amount of motion and noise look extremely natural and thus enhance the scenic view of video. Noise reduction can be used in any node placed anywhere on the node graph in any position. It automatically detects which part of the video is in motion and then adjusts the blur based on movement. These effects help in blending and simulating the aperture giving a perfect ending to the video. The videos should be clear, crisp and immersive; it’s like storytelling and should involve directing the audience’s eye. 3D stereoscopic grading helps in maintaining the focus on story as it helps in bringing everything to the perfect alignment. Removing of excessive colors and correction of alignment errors can be done simultaneously as you notice them. There are some more unique features of DVR Studio paid version, for the detailed features comparison between Davinci Resolve Free and Paid version, you can check the list of Davinci Resolve 15 Features Comparison from Blackmagic here. Is DaVinci Resolve good to start with? DaVinci Resolve Studio comes with some of the unique and distinct features which are ideal if you are working in a high-end post-production workflow. But if the kind of projects you are working on doesn’t need too much in-depth detailing, then you should start by downloading the standard version of Resolve, namely the DaVinci Resolve. As we describe above, the free version lacks some features such as lens correction, collaboration tools, Spatial and temporal Noise reduction, VR Toolset and some FX as well, and the maximum resolution is limited to 4K ultr a HD. Most of these limitations will not affect your editing in most cases. You may work on it and then upgrade it to the DaVinci Resolve Studio version if it fails to fit in all of your grading needs. This is because DaVinci Resolve Studio allows carving details of the images near to perfection. Running a powerful video editing software like DaVinci requires higher hardware equipment. If you can't run DaVinci Resolve on your computer, refer to our troubleshooting list first or use some alternatives to DVR. Here, we recommend you trying Wondershare FilmoraPro - a professional video editor for intermediate users, or next-level skills users. FilmoraPro has a much lower requirement about the computer performance, and gives you more controls about the projects. It can accelerate your editing process with the clean interface, unlimited video tracks, advanced editing modes. You can perfect your audio with the Audio Compressor, reduce unwanted background sounds, add transitions between audio clips and make fast color correction with high-quality presets. Download it now!